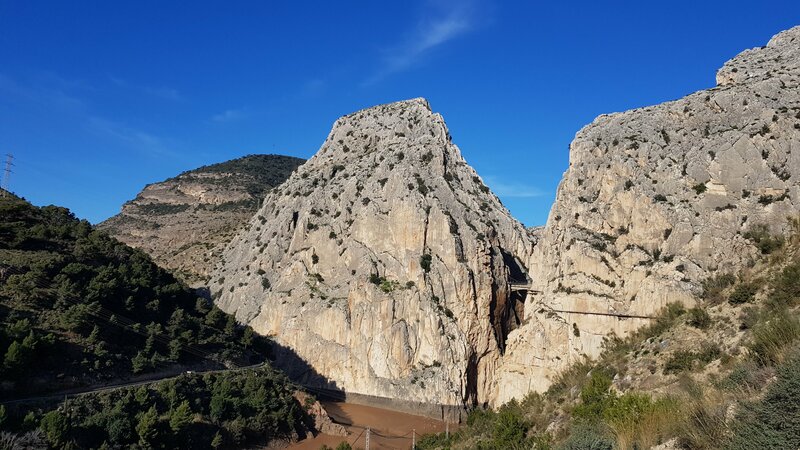 With the opening of the refurbished “Camineto del Rey” El Chorro is really on the map, with a thousand visitors on busy days! There was certainly quite a procession in matching white hard hats making their way from the far end of the gorge down into town. 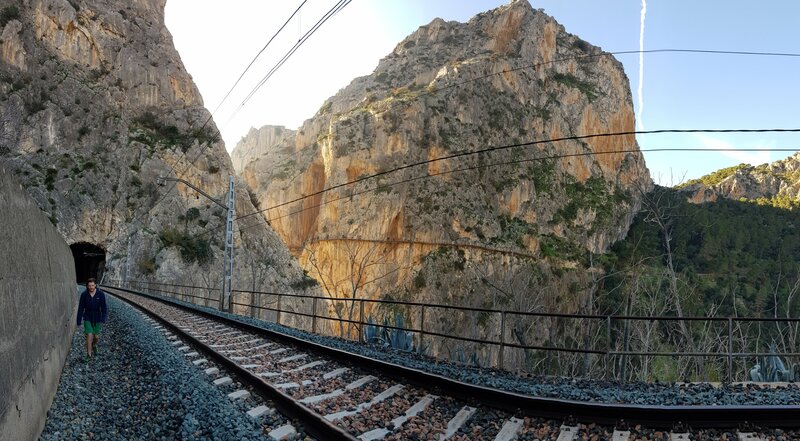 All this has led to tightened security around the railway tunnels reportedly making access to the gorge more problematic. We didn’t have any encounters with the authorities and had a trouble free passage through into the gorge. 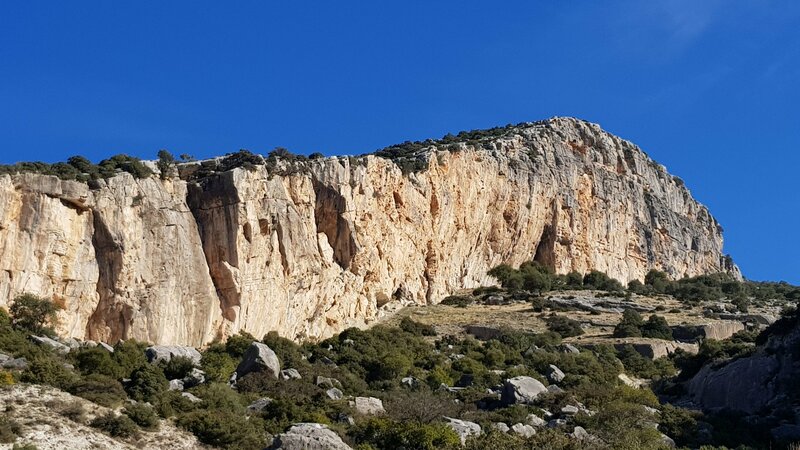 Followed by the long plod up to probably the most impressive crag in the area. 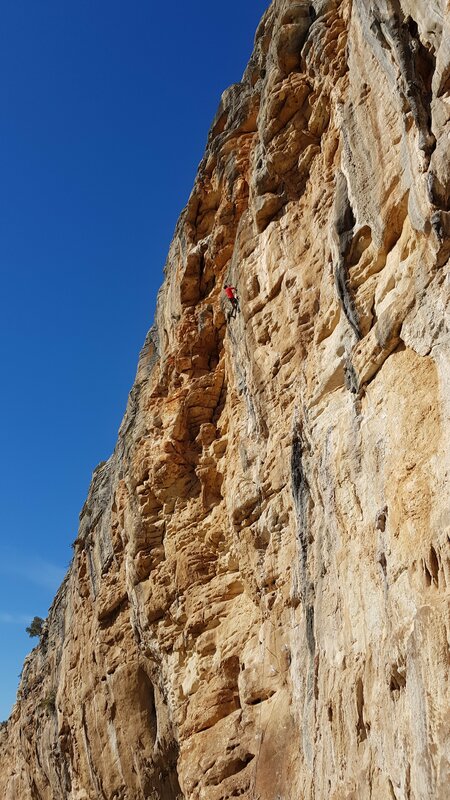 We warmed up on the outstanding Life Is Sweet, 6c, a big pitch with some surprising holds just where you need them. 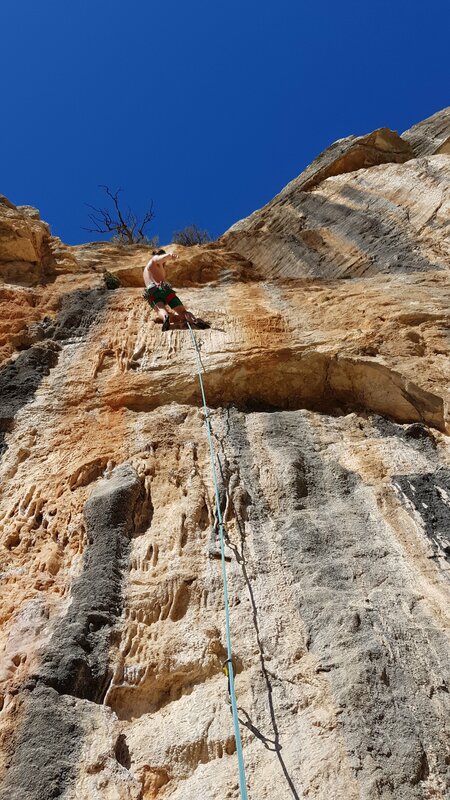 Then we headed down to sector Las Tigres and Jake made an effortless ascent of Los Siette Larrys, 7b, a real classic. I had a couple of goes but couldn’t quite put all the pieces together. 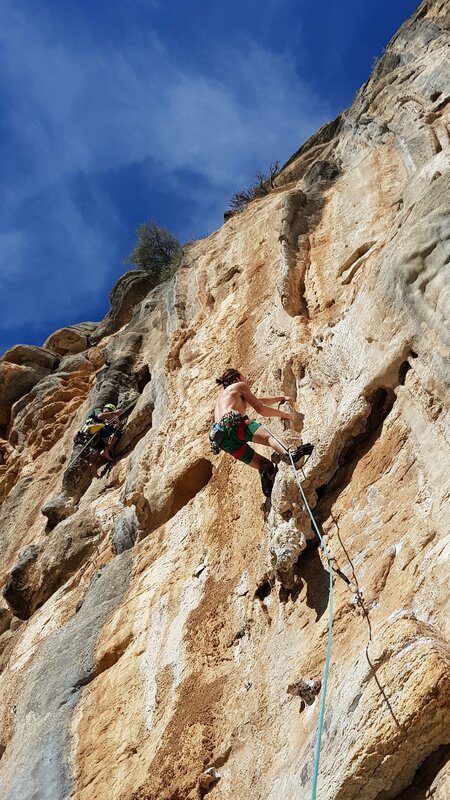 Jake then had an ultimately unsuccessful grapple with Atlas Shrieked, 7c+, which overhangs massively but still managed to look like a slab in comparison with the neighboring Lourdes! 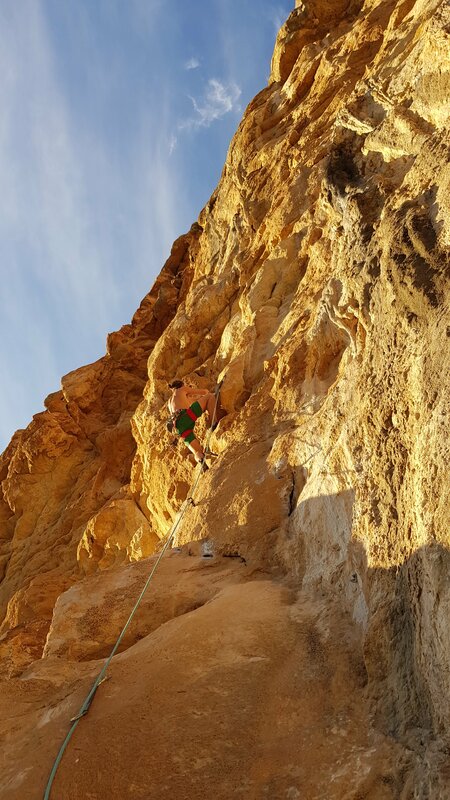 We then finished off on Hakuna Mata, 7a+ and a top 50 route, with fabulous light in the setting sun. I was really chuffed to get this one; surprised, being quite tired! 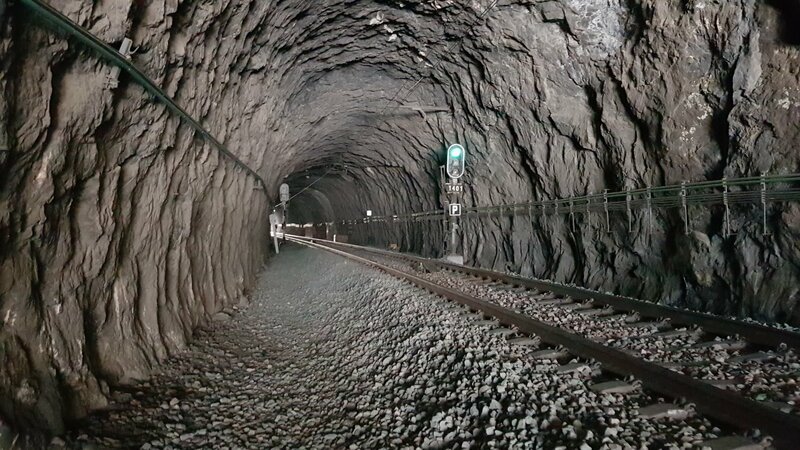 … and a trip back through the tunnels under the cover of darkness!